Meta Description: The benefits of technology for kids far outweigh any perceived negatives. There’s so much cool technology for kids that learning is both fun and rewarding. There is a common belief that technology is bad for kids and may stunt their growth, but the truth is that it can be highly beneficial when used appropriately. 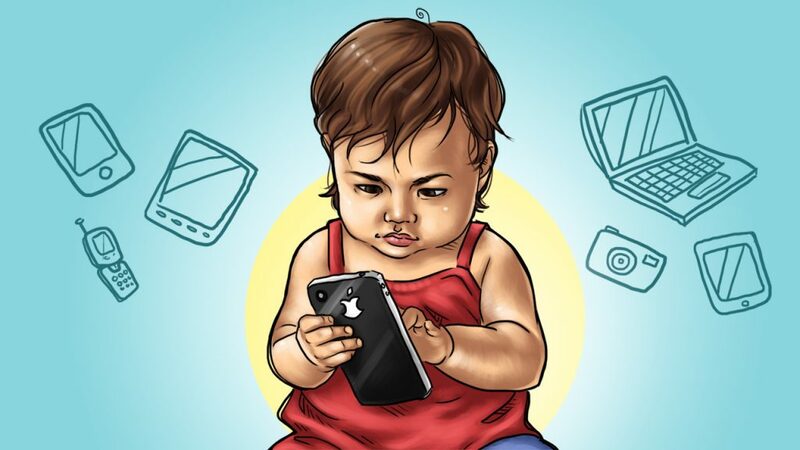 In this day and age, technology runs the world and technology for kids helps prepare them for life. One of the major benefits of introducing technology to kids is that it can help improve their problem solving abilities. This, in turn, can lead to better performance in school and daily life. Maybe a child isn’t playing video games, but is working with code instead. They still need to figure out how the code works. This requires real problem solving and critical thinking skills. As a tool, technology for kids can be a powerful teacher. Children are inherently creative, whether it’s making up games or stories. Technology enables them to bring their creativity to life. Crayons and markers are still fun for kids, but they can also use 3D pens to draw and then print out their design with a 3D printer. Toys can be boring or not challenging enough for some kids, making it difficult to stimulate their developing brains. In this modern era, there’s now cool technology for kids that helps enhance their creativity. It used to be that children would learn by reading textbooks. However, schools are moving towards a more modern approach by integrating technology in the classroom. This may be in the form of computers, tablets and laptops. As a form of learning, technology enables children to learn in a different way. For example, instead of simply reading about a concept, a program can bring that concept to life. Considering that 60-80% of children are visual learners, this is a huge benefit. Not only can children learn in a different way, they can also learn how to follow multiple and complex story lines. Technology for kids can help teach how to differentiate story arcs and also determine how they relate to one another. For the time being, kids can learn through a combination of textbooks and technology, both at home and at school. Technology offers children another way to learn, one that helps develop their mind while also engaging them in a fast-paced world. Kids and technology go hand-in-hand today. Many people assume that technology like video games decreases a child’s ability to form relationships and interact with others. In reality, technology can do the opposite. Rather than viewing a child’s interest in technology as a social drawback, consider the two ways in which they can interact with other children who share the same interest. First, your child can bond with others over their love of technology. This can be video games, coding, robotics or another form. They’ll interact with each other as consumers, just as kids who play sports do. Second, they can communicate with others within technology through multi-player video games or even via chat forums. Whether your child is interested in video games or robotics, the potential for friendship is there within cool technology for kids. The main thing to remember is that children interested in technology are more than capable of forming friendships with others and building their social skills. Lastly, we live in a technological era that shows no signs of slowing down. That means your child can have a very promising future in the technology industry if that’s something they are interested. Companies are expanding their technology capabilities, which means they need employees who understand the nuances of technology. And it’s not just Silicon Valley, but businesses around the whole world. The doors for a future in a tech field are wide open. By the time your child is an adult and entering the workforce, there might be new tech jobs that aren’t even imaginable today. However, they’ll be fully prepared and equipped for these high paying careers in a field they are interested in. Children need stimulation to improve cognitive function and creativity as they grow. Technology for kids provides a way for parents to give their children what they need, especially as we move further into the technology era. Learn more about how our assisted purchase program helps you by finding the technology you need today.